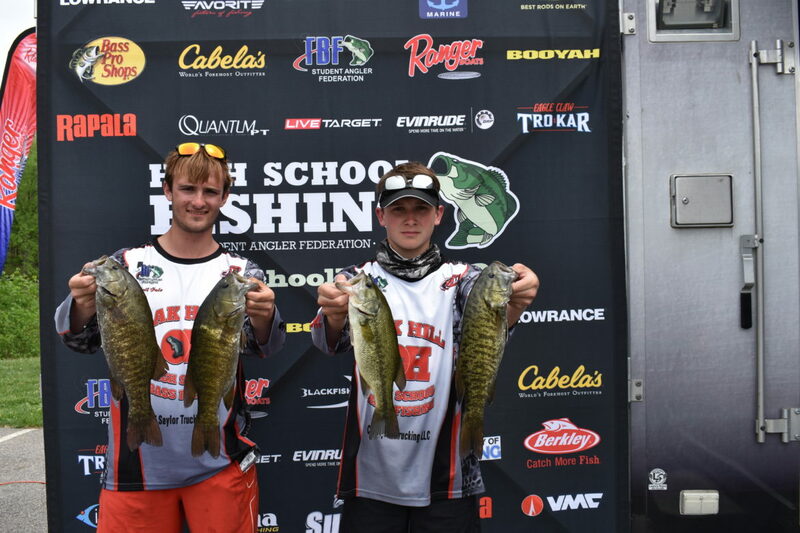 Fifty-six teams traveled to compete in the 2018 Ohio High School State Championship on Saturday, May 12 at Alum Creek for the titles and the coveted spots in the 2018 National Championship. 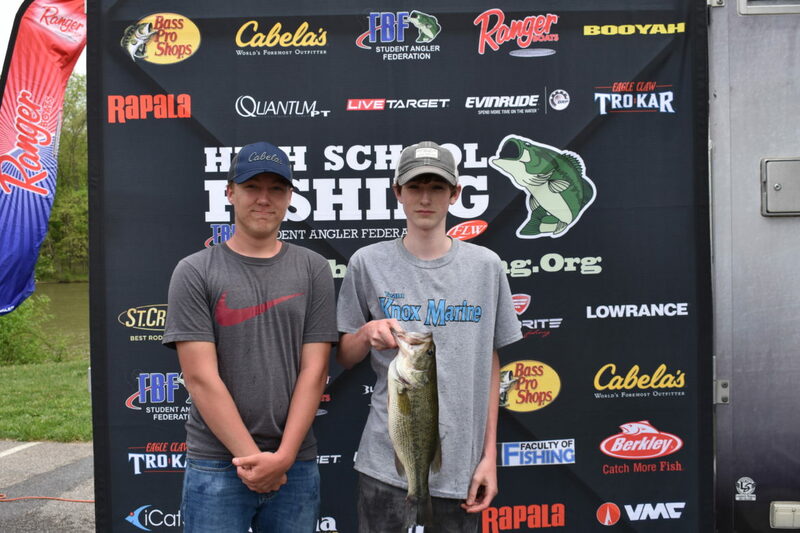 Five teams advanced to the national contest held in conjunction with the High School Fishing World Finals, June 26-30 on Pickwick Lake in Florence, Ala.
Anglers faced a tough Alum Creek and most struggled to find a five fish limit. Four of the top five teams did, however, and it was enough to punch their tickets to nationals. Leading the pack was the Oak Hill High School team of Mitchell Hale and Keaton Potter. Hale and Potter had a limit of bass weighing 9 pounds 11 ounces. The team got on a healthy school of smallmouth during pre-fishing and locked it up tournament dy for the win. Anglers met for registration, a rules briefing and for boat numbers at the Cabela’s in Columbus, Ohio. “That afternoon we went to sign in for the tournament, you can only imagine our excitement when we were told that we got the 1st boat draw,” Potter said. “We knew right from there our chances of winning were pretty good,” Hale added. Hale and Potter weren’t the only Oak Hill anglers to make a statement. 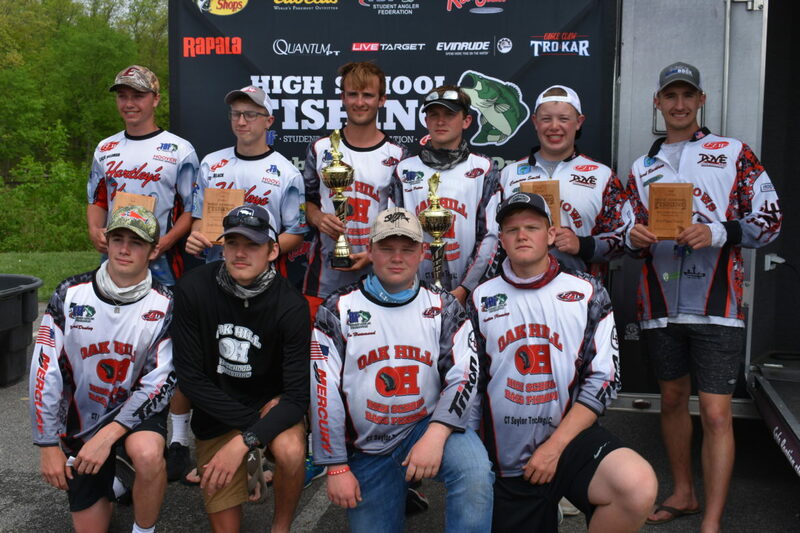 Three of top five teams advancing were teammates of the Oak Hill High School fishing team.